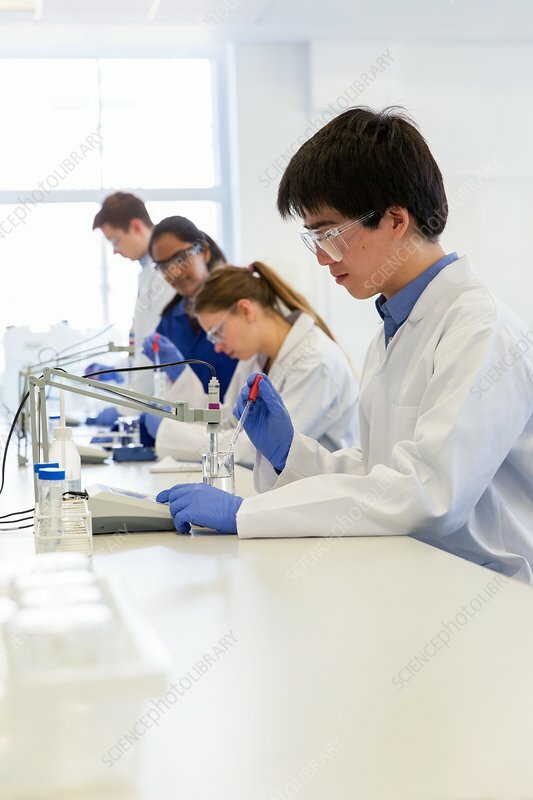 Chemistry students in an undergraduate teaching laboratory using digital pH meters to measure the pH of chemical solutions, whilst being supervised by a postgraduate student, often called a demonstrator, who is wearing a blue lab coat. The tip of the pH probe is immersed in to the liquid and measurements are taken to determine its pH. A pH reading below 7 is acidic, one above 7 is alkaline, while a pH of 7 is neutral.